Are you a bigger NBA fan than college hoops fan? Well here are some high-level NBA prospects playing in this year’s tournament. As millions of Americans fill out their NCAA tournament brackets and pitch $10 or $20 into office pools, NCAA schools are once again reminding their athletes — in all sports, at all levels — that they are not allowed to participate. “Remember that wagering on March Madness is impermissible!” VCU’s compliance department wrote on Twitter earlier this month. “Don’t put your eligibility in the hands of a tournament bracket!” tweeted Maryville University, a Division II school. “Risk + Reward = Violation,” Seton Hall added. According to NCAA bylaws, there is nothing wrong with filling out a bracket for bragging rights or fun with friends, but the presence of a entry fee and the possibility of earning a prize turn the oft-innocent March tradition into a case of sports gambling. The rule applies to coaches, administrators and NCAA staff, in addition to the more than 460,000 athletes who compete in 24 sanctioned sports. According to an anonymous survey of athletes conducted by the NCAA in 2016, 23 percent of men and five percent of women said they have participated in a bracket pool with an entry fee and prize money. Less than 25 percent of those surveyed said they consider bracket pools to be gambling, even if money is changing hands. While former Washington football coach Rick Neuheisel was famously fired in 2003 for participating in a high-stakes bracket pool, it’s unclear how many athletes have actually been reprimanded for participating in bracket pools, or how severely. 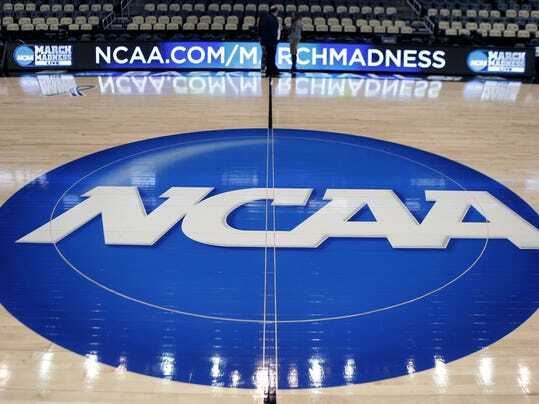 When asked about the frequency of bracket-pool-related infractions, NCAA spokesperson Emily James referred USA TODAY Sports to general information about the NCAA’s stance against sports wagering and how potential NCAA violations are discovered and enforced. ESPN college basketball analyst Jay Bilas, who has been an outspoken critic of the NCAA on amateurism issues, told USA TODAY Sports that he is fine with the NCAA’s stance on gambling because it is similar to rules and expectations in professional sports leagues. “It’s not (the same) sort of the hypocrisy as making billions of dollars and claiming that the enterprise is amateur,” Bilas said. “I don’t look at this issue the same way, because you’ve got professional sports where people make hundreds of millions of dollars over the course of their careers, and they’re banned from gambling as well. In the meantime, administrators will encourage their athletes to pass on that $10 bracket pool. Instead, they’re left to come up with their own creative ways to bet on March Madness, like the pool being advertised by Vanderbilt’s compliance office.